About Us – Agro-industrial holding "ECO-culture"
APH ECO-Culture is a group of companies specializing in vegetable cultivation and supply. Cucumbers and tomatoes are the main crops grown at the enterprise. Eco-Culture-Trade Ltd. sells the vegetables produced by Eco-Culture Holding. The products are sold under registered trademarks “Eco-Culture” and “S chistogo lista” (meaning from scratch). At present, Eco -Culture Ltd. Sells and distributes vegetables from our existing greenhouse complexes – Eco-Culture-Trade Ltd., Stavropol Ovoshchi Ltd., Mariinsky Ltd., Dary Prirody Ltd., and Krugly-god Ltd.
Our products are available on the shelves of major chain supermarkets and hypermarkets in Moscow and Moscow Oblast, St. Petersburg, Stavropol Krai, Yekaterinburg and other Russian regions. We have been effectively cooperating with leading food retailer X5 Retail Group, as well as with other major retail chains, such as Magnit, Dixy, Lenta, Okay, Verny, Magnolia, Azbuka Vkusa, Globus, BILLA, SemyA, Avoska and Kirovsky. We also have strong cooperation with McDonald’s Corporation. ECO-Culture Group is actively growing its production capacity. Jointly with Rosselkhozbank, we are implementing a large-scale investment program for creation of modern high-tech greenhouse complexes in Russia. This has continued to ensure year-round supply of high-quality and fresh vegetables to the population. Such projects not only facilitate import substitution of key types of agricultural products, but also helps in efficiently addressing the challenges of socio-economic development of regions, by providing employment to the population, ensuring infrastructure development, and boosting tax revenues. 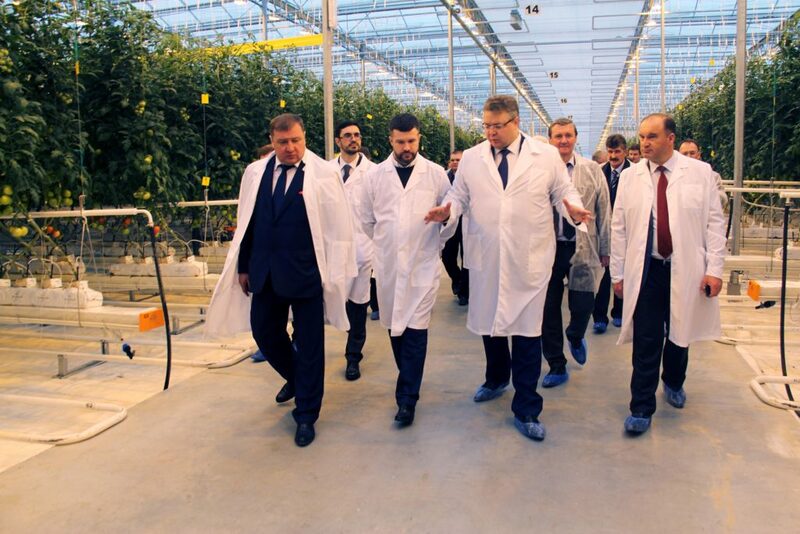 By the year 2023, our high-tech vegetable greenhouse complexes will cover a total land area of 560.7 hectares in different regions of Russia. This will create more than 8,000 highly paid jobs in the regions. Our annual production volume will exceed 431,000 tons. Our main goal is to produce vegetables that are considerably superior to imported ones in terms of taste and beneficial properties. 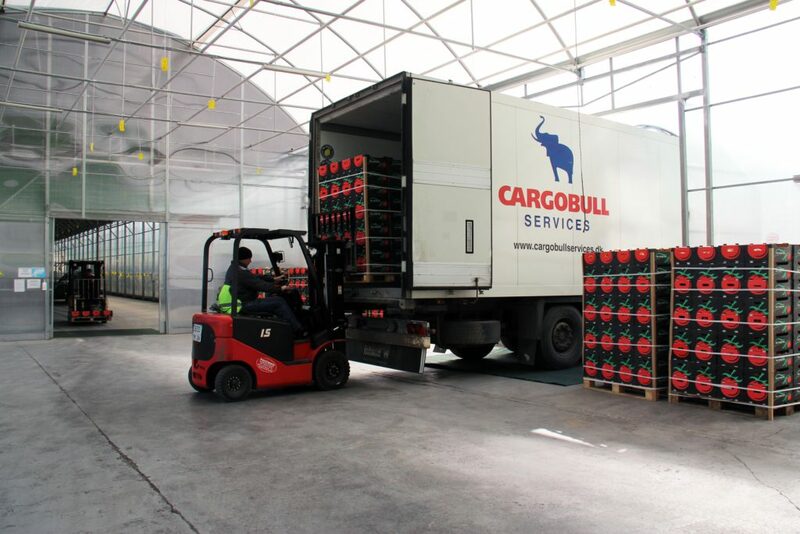 To achieve this goal, we have focused on introducing new production technologies, recruiting experienced experts and constructing optimal logistic schemes. These were the bedrock on which we created a successful enterprise and a brand associated with high-quality and healthy products. Climate control in the greenhouses is fully computerized. Our computer systems are integrated solutions used to monitor and regulate heating, cooling and shading systems, air vents, supplemental assimilation lighting, drip irrigation and CO2 level control. The climate control system can be optimized depending on local weather conditions, such as wind, rain or solar radiation. This has enabled us to constantly maintain an ideal microclimate in our greenhouses, which, in turn, has ensured consistently high product quality and crop yield. In our greenhouses, plants are protected through biocontrol. We use entomophages for pest control. These are predator insects and bioagents that kill many dangerous vegetable pests, such as aphids, ticks, whiteflies and others. Initially, we were buying beneficial insects abroad, but our experts eventually learned how to breed and grow macrolophus (predatory bug) in our laboratories. However, they are not the only beneficial insects in our enterprise. We pollinate our plants using domestic bumblebees, which not only transfer pollen, but also help maintain the biobalance in our greenhouses. We use electric UV light, pheromone traps and adhesive tapes to fight against nocturnal flying pests. Mosquito nets are mounted on transom to prevent insects from entering from outside. Ultrasonic repellents are used to effectively repel rodents. Our greenhouse workers can only enter the greenhouses after performing a number of hygienic procedures: they must wear overalls, and must clean their shoes on a rug lying in front of the door, soaked in disinfectant solution. At the entrance to each greenhouse hangs a dispenser with disinfecting liquid; it is prohibited to enter a greenhouse with unwashed hands. All these measures, as well as the use of protection and special plant pollination methods, are aimed at preventing the possibility of using chemicals at the greenhouses. This has therefore made our crops consistently eco-friendly.